Finish jobs faster, produce high-impact colour, and get set up and connected quickly. Print from your smartphone or tablet with HP ePrint. Easily conserve resources and recycle used cartridges. Media Sizes Supported A4; A5; A6; B5 (JIS); B6 (JIS); 16K; 10 x 15 cm; etc. Economical printing without compromising quality is what the HP LaserJet Pro M570DW Colour A4 Multifunction Printer delivers. Packed with all the right features, it is the perfect machine for small to medium-sized businesses with high-volume printing jobs. This particular MFP from HP boasts of excellent colour printing capability. Not only does it print documents, but marketing materials as well. Use it to print brochures or catalogues in full colour. Optimise colour settings and you’ll get printouts that are vibrant and rich in terms of different hues. 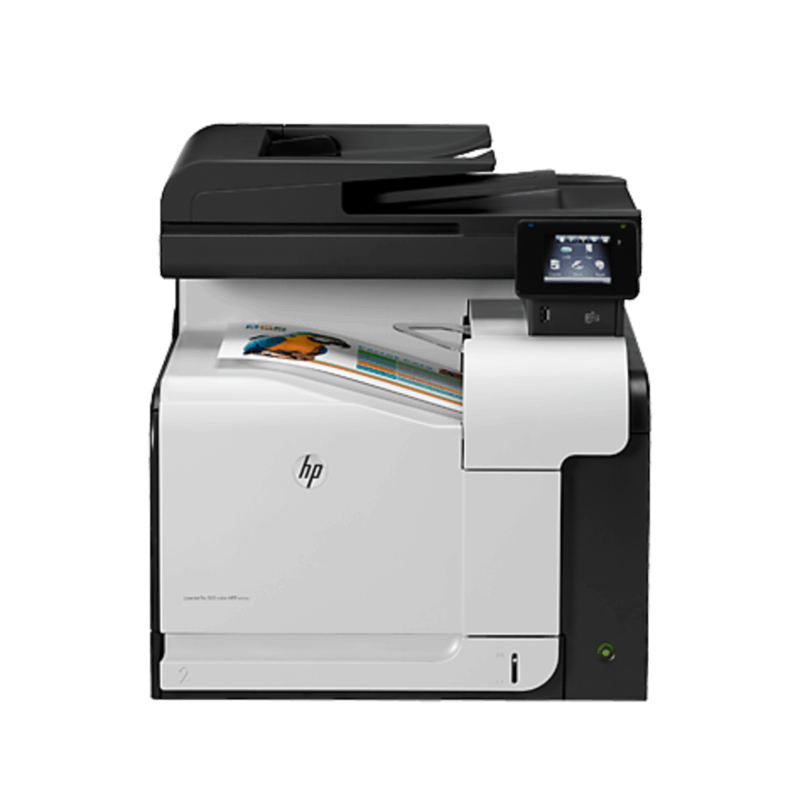 And because a broad range of media in various sizes works with the HP LaserJet Pro M570DW Colour A4 Multifunction Printer, you don’t need to limit yourself with standard paper. Play around with available media and see the wonders that this machine is capable of. When the printer is not in use, the HP Auto-On/Auto-Off Technology will shut it down to save on energy. Through the HP EcoSMART Console, energy-saving and printer settings are made accessible and customisable from a centralised point. Use the Original HP LaserJet toner cartridges and you will get more printouts without the environmental impact as well.